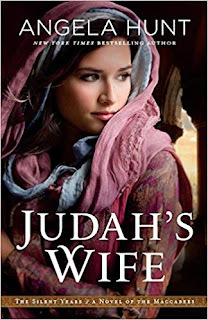 My Review: Judah’s Wife is a retelling of the Maccabean revolt. 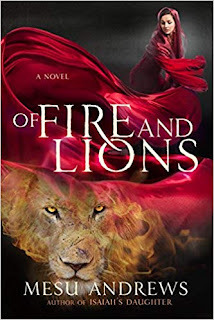 The story is focused on the romance of Judah Maccabeus and his wife Leah. Leah is the abused daughter of a merchant. She sells cheese in the market stalls. When she is attacked by a group of young men in the market, a young man named Judah Maccabeus comes to her defence. She soon catches Judah’s eye and marries him. Leah believes that now she can live a peaceful life. However, her happy marriage is short-lived when the Syrian king forces all Jews to abandon their faith and convert to the Syrian religion. Judah, his father, and brothers defy the king’s laws and start a revolt in order to practice their religion without persecution. Leah struggles with her husband’s decision. She begins to learn to put trust not only in her husband but also God. Leah is a complex but realistic character. Because Leah was abused by her father, it is hard for her to trust her husband completely. She is afraid that the war may turn her husband into a violent man. Throughout her marriage, Leah slowly realizes that Judah is not her father. Once she learns this fact, she is devoted to Judah and to God. She accepts God’s calling and plays the role that God has destined her to fulfill. Thus, I could sympathize with Leah. She is traumatized by her past. She must learn to let go of her past in order to embrace her present and future. Judah is an admirable character. He loves Leah unconditionally and faithfully. He is gentle with her. When he becomes the leader of the Maccabean revolt, he knows that he will create a barrier between him and Leah. Judah is unwilling to lead the rebellion, but he listens to God’s will. He fights for the freedom to worship his God without persecution. He only wants peace and freedom. His determination and humility inspires thousands to join his army. He is also very gentle to Leah and is patient with her. He waits for Leah to love for him for who he is. Thus, Judah is both a great leader and husband. Overall, this book is about love, freedom, and sacrifice. 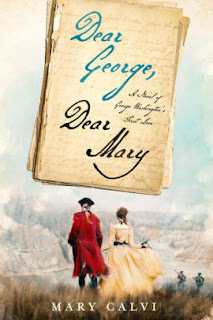 The novel was hard for me to put down. The characters seemed genuine. The struggles they had in ancient Israel is reminiscent of today’s times. The historical setting of ancient Israel was also very authentic. This is one of the first books that have focused on the Silent Years. The author did an excellent job in showing that God was still present during those years. The Years of Silence is a challenging subject to master, and Mrs. Hunt did an outstanding job in presenting us with Judah’s Wife. Only in Mrs. Hunt’s capable hands can she portray the Maccabean Revolt with such vivid detail and understanding. Judah’s Wife is a thought-provoking novel that shows the strength and courage of human resilience and God’s love for us.